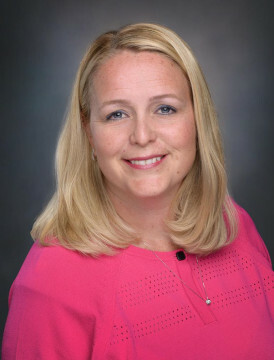 Less than a year after she left her position as director of sports at Visit Sarasota County to become chief operating officer of the Suncoast Aquatic Nature Center (SANCA) — which manages events at Nathan Benderson Park — Nicole Rissler has been named the new deputy director of operations for the Sarasota County Parks, Recreation and Natural Resources Department, the county announced this week. Rissler will oversee five divisions: sports development and athletics; recreation and special events; natural area parks, preserves and trails; beaches and water access; and neighborhood parks and maintenance services, the release notes. In addition, the department’s quality assurance team reports directly to the deputy director of operations, the release adds. In addition to working at Visit Sarasota County, Rissler served in leadership positions within Sarasota Family YMCA and the American Red Cross, the release notes. She also is a past chair of the county’s Parks Advisory and Recreation Council, the release continues. Rissler earned a bachelor’s degree in sports and exercise science from Gettysburg College and then earned her master’s degree in business administration from Lynn University, where she later coached collegiate-level volleyball, the release adds. “I am thrilled to have the opportunity to join the Sarasota County Parks, Recreation and Natural Resources team and excited that I will be able to continue to have an active role in the success of Nathan Benderson Park along with all of the county’s great parks, beaches and preserves,” Rissler said in the release.